Humans instinctively pay attention to color. We notice it because it can communicate a huge amount of information. It can tell us how other people are feeling, such as when they are blushing. It can also help us to notice food in the wild, such as the bright colors of fresh fruit. It can even mean the difference between life and death in a dangerous environment, when picking out subtle differences in color is the only way to notice that a dangerous predator is nearby. The sheer importance of color means that it should come as no surprise to learn that humans have emotional responses to the colors that they see. Our brain has a complicated relationship with color, and scientists only understand the basics, but it is clear that is can have a big impact on how people feel. That is probably why so many colorful objects, such as roses, have picked up so many implied meanings. You should keep those meanings in mind if you’re going to give a rose to somebody special. The rose’s color will have an impact on how they react to the gift, and many of the colors carry special meanings. Not everybody will pick up on those meanings, but a lot of people will, and they will appreciate you taking the time to choose the one that best expresses your feelings. When most people think of roses, they think of the classic red rose. That makes sense because it is the most common and popular variety. The red rose represents love, romance, and passion, which makes it a perfect gift for anniversaries and other romantic occasions. Some people also like to use red roses, or just pictures of them, as decorations on other things to make them seem more romantic rather than using them as a gift on their own. 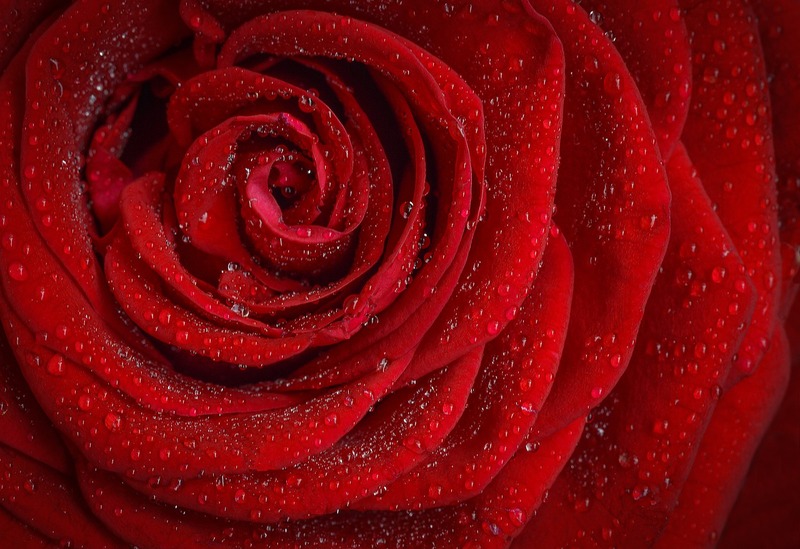 The connection between the red rose and love is an ancient one. It dates back at least as far as the 15th century, the the famous Romance of the Rose used the flower as a symbol to stand in for a beloved woman. The connection got even more potent in the Victorian era. The Victorians used flowers as a sort of visual code to represent specific emotions or messages, and the roses stood in for love. Modern people still use that symbolism in almost every type of media, so this connection is going to last for a very long time to come. The red rose simply is, and will be, a timeless symbol of love and adoration. Pink roses are some of the most beautiful roses in the world. 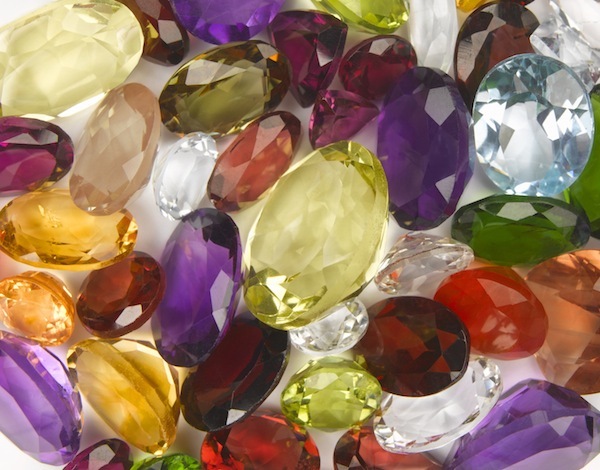 While they have a lot in common with their red counterparts their lighter color tends to go with lighter feelings. Red stands for passionate love, but pink represents a gentler sort of admiration and adoration. That is not to say that pink roses mean that the giver has weaker feelings. It simply means that those feelings are more of a deep admiration than a burning passion. Still waters run deep, and the pink rose is ideal for those feelings that seem calm, but run deep into the soul. White roses have a striking appearance because they stand out from the more colorful blossoms that people usually expect to see in a bouquet. As with many other white things, people associate them with virtue and purity. 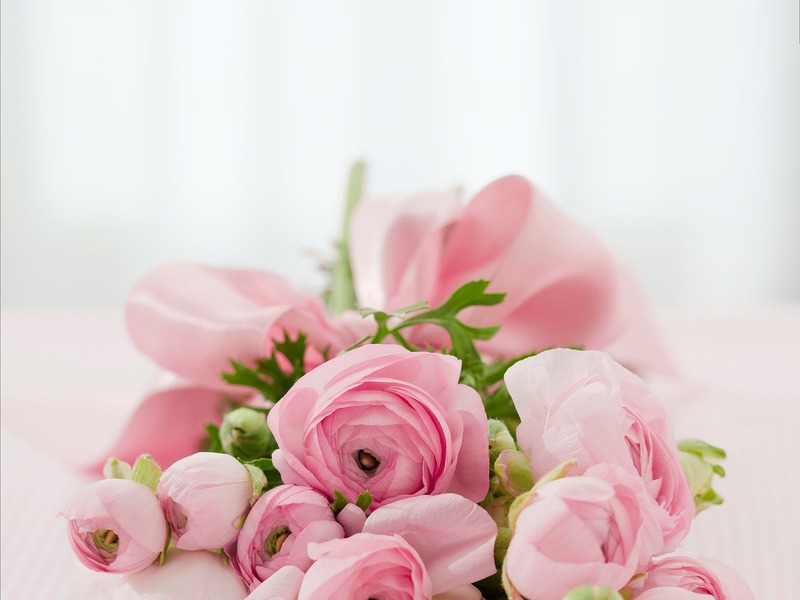 They are also one of the top choices for wedding flowers, so they can also serve as a symbol of love, especially the sort of love that can last for years. 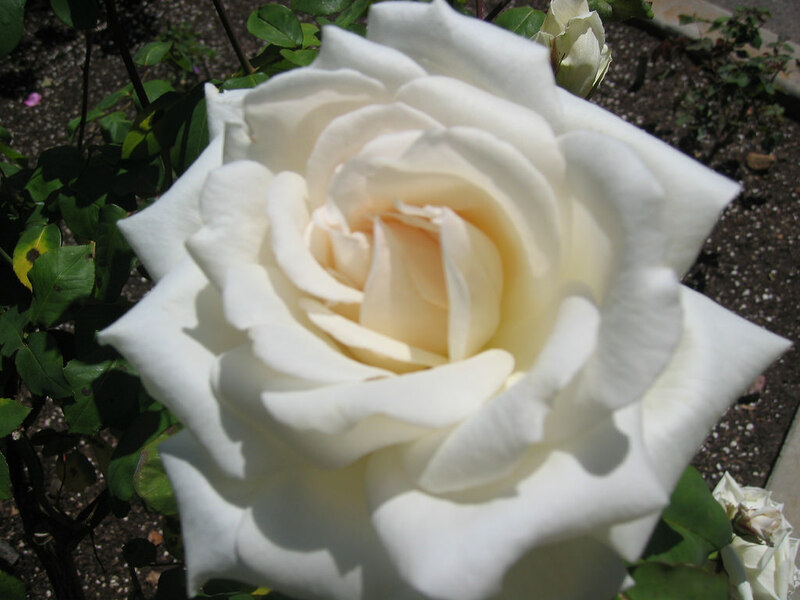 White roses are popular wedding flowers in part because we associate white with weddings. That is actually a fairly recent link, since the general trend towards white weddings began in the Victorian era. The connection between the color and the event has become firmly lodged in the popular consciousness in spite of its relative youth, so it is safe to assume that most people in the western world will make the connection between the blossoms and the ceremony. Yellow is a joyful color, and it does have happy connotations. 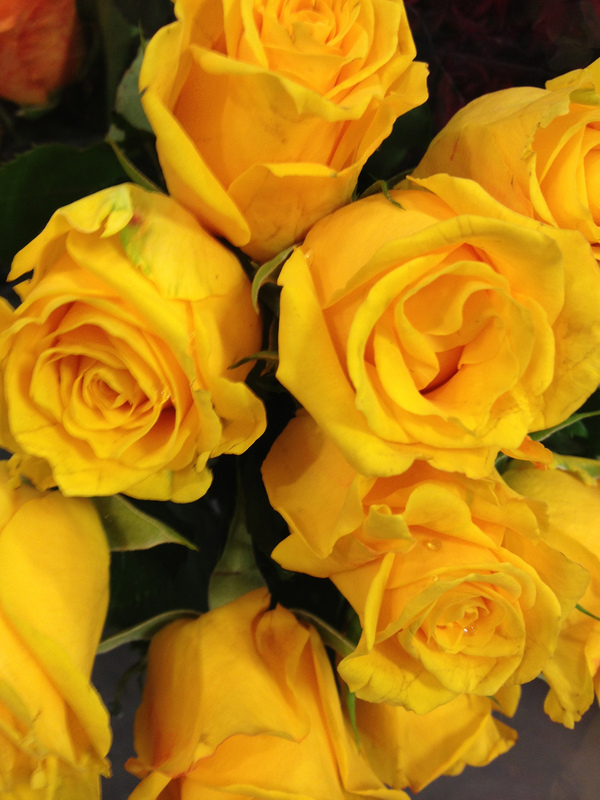 People have traditionally given yellow roses as a sign of platonic friendship without any sort of romantic intention. That is not quite as common now as it used to be because people tend to save flowers for their lovers, but it remains a great choice for people who do appreciate lovely blossoms. Since people view yellow as a happy and energetic color, it can also be a great choice for cheering people up. Orange is a bright and vivid color, so orange roses represent excitement, enthusiasm, and interest. 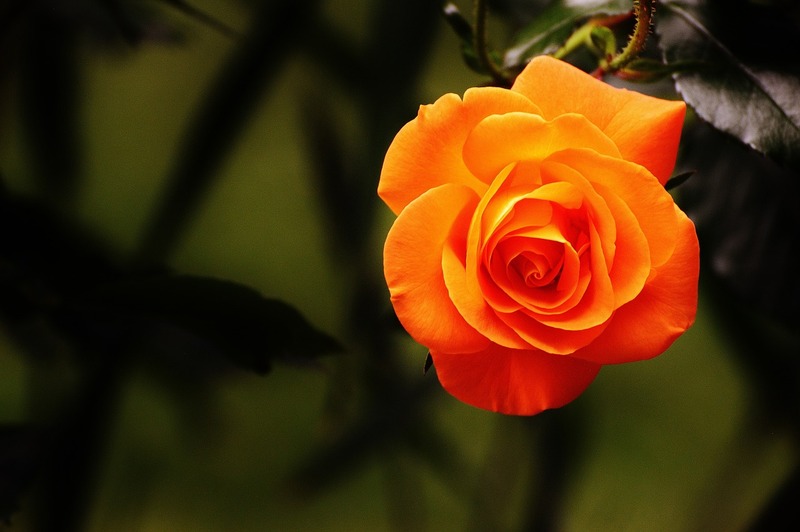 Just as orange is a mix of red and yellow, the orange rose has aspects of both the red and yellow flowers. It isn’t as clearly romantic as a red rose, but it certainly indicates passion. It can be just as platonic as the yellow rose, but it also serves as a more direct sign of interest. Green roses are rare and beautiful. It is the color of life, growth, and nature, and the roses serve as symbols of all of those things. It can stand for progress, but it can also represent healing. The novelty of a green rose can also be exciting, which makes it a good choice for people who like new things. 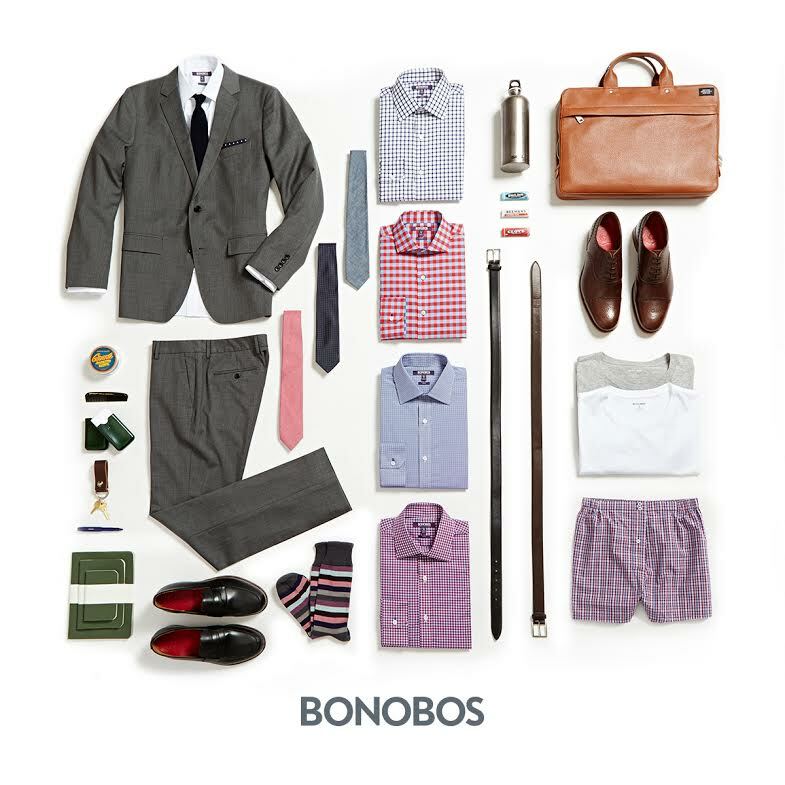 Every detail counts for people that want to give the perfect gift. That is especially true for roses, since the color is such a large part of their meaning. The key to picking the right rose is understanding your feelings and why you want to give the gift, then picking the rose that best expresses them. It can take a little time to make the choice, but it will be worth it when you see the recipient’s face light up.